In my last trip to California I had the opportunity to visit the Swami Narayan Temple at Chino Hills, CA. Opportunity because, never in my life have I seen a structure as beautiful and gorgeous as this. 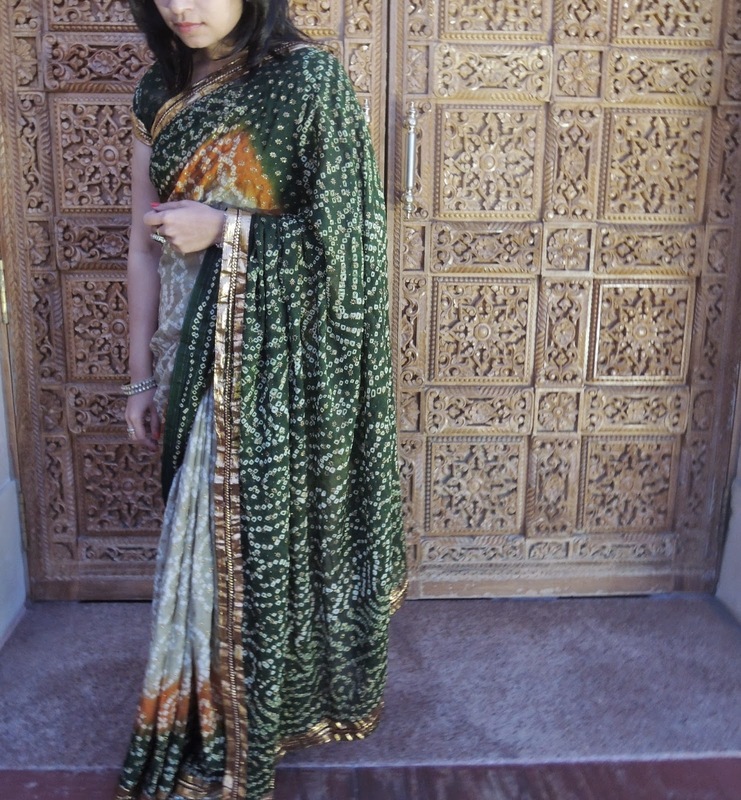 A detailed post on it will be posted in the So-Saree in America Series, but I had to share what I wore there. 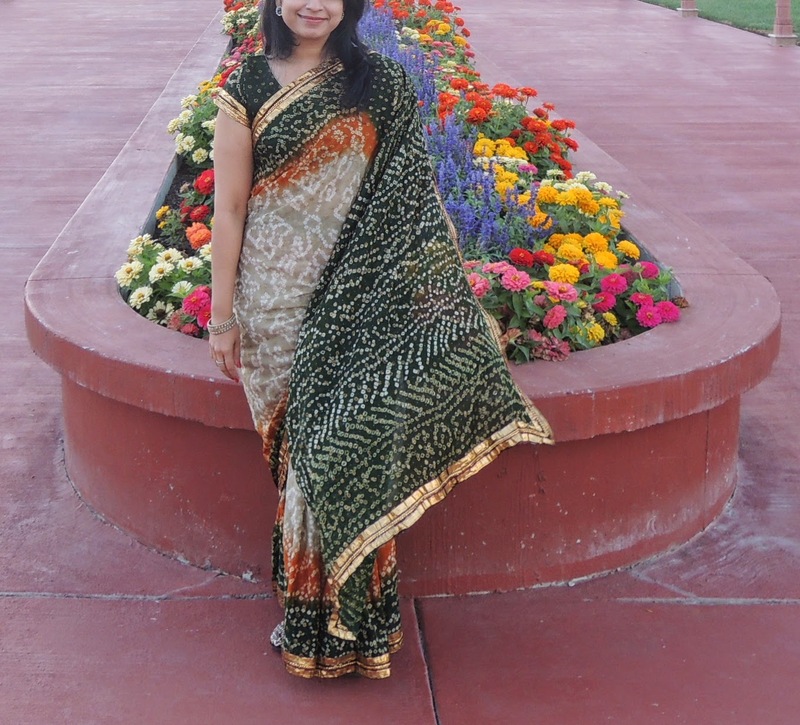 The saree is a beautiful bandhani silk saree bought from Rajasthan. 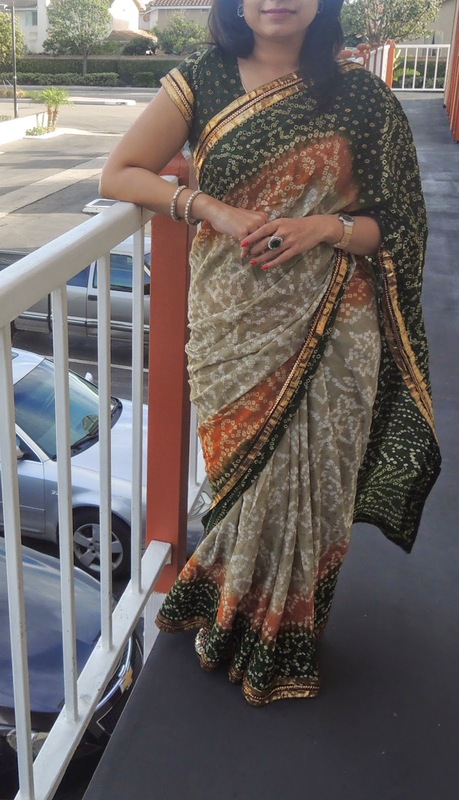 I wanted the saree to enjoy its moment of glory, and decided to go minimal with accessories. A pair of earrings from Youshine.com and a statement ring picked up from the streets of Mumbai was all I needed. Thank you, follow you (№149)! Loving that saree... I do not have a Bandhani saree yet will soon start hunting for one. Aditi you look beautiful! Have you got any this time?